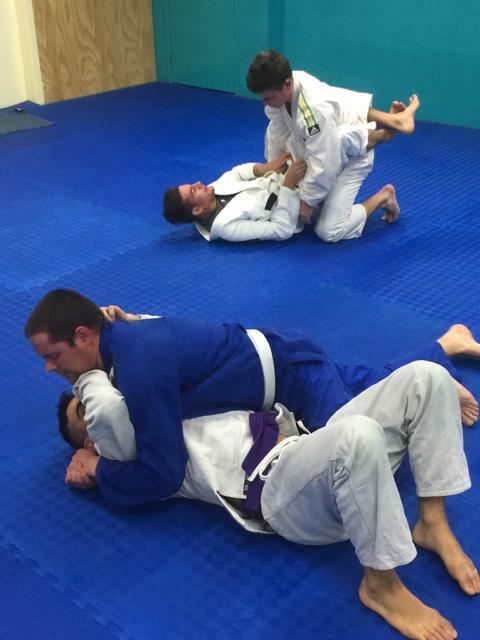 Taking the world by storm, this brand of Jiu Jitsu (BJJ) is sure to work you out both physically and mentally. 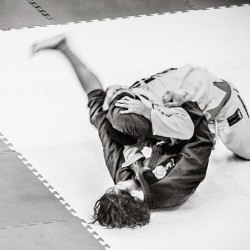 Do you know one of the coolest thing about this type of martial art? It really works! 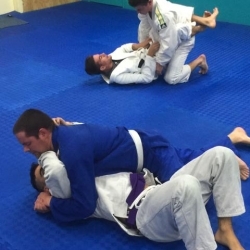 That’s right, apart from making you break into some serious sweat, BJJ’s chokes and locks are extremely effective at submitting even the most aggressive opponent. 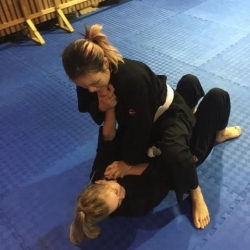 So even if you are a tiny lady or a light-weight guy BJJ will give you the technique, skill and leverage to overcome the bigger stronger opponent. 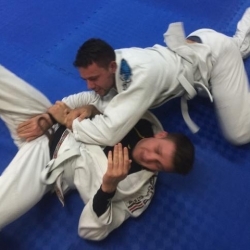 BJJ students are all pleasantly surprised by how quickly they acquire useful skills on the ground and are able to dominate unwitting opponents, even much bigger ones! How is this possible? 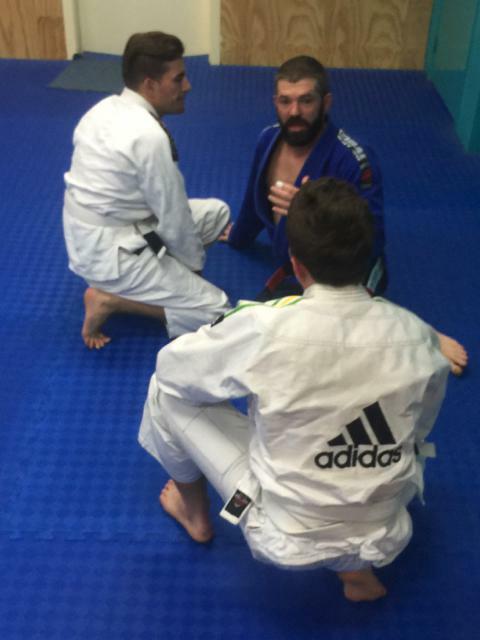 It’s possible, among other things, because of the level of commitment and and expertise our BJJ instructors bring to the table. 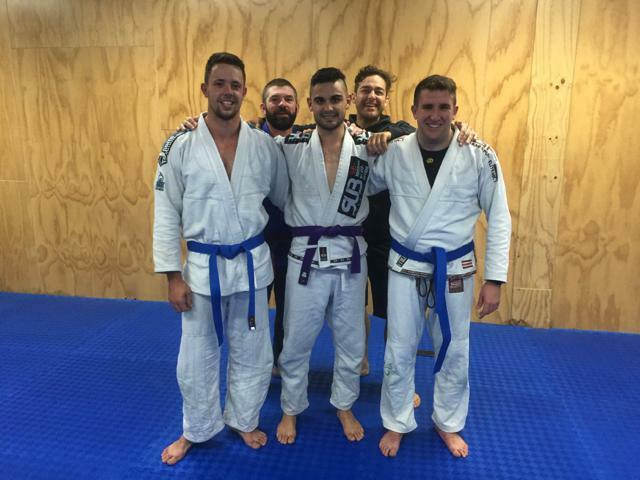 Instructor James, our dedicated BJJ trainer, has many years’ experience in BJJ, and he competes regularly in BJJ and MMA events. 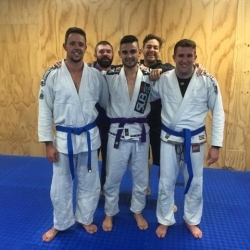 His zest for health, fitness, and martial arts, and great experience in the field is sure to help you achieve your best in BJJ whether it be simply to improve your fitness, learn self-defence, or to take your competition to the next level. 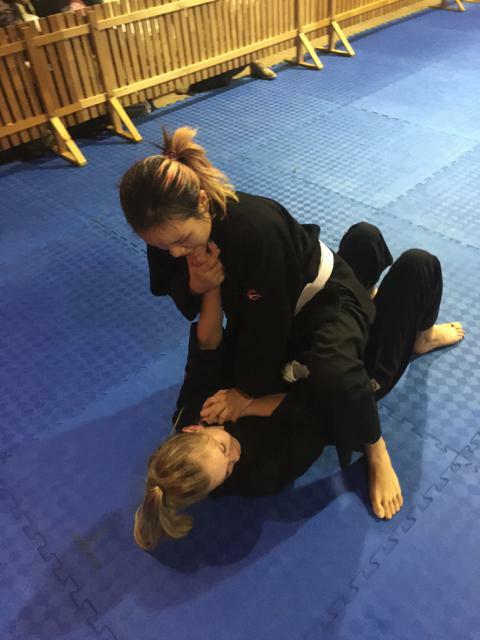 Besides our fantastic instructors, at BTC we are also proud to be able to offer small size classes to match our students’ previous experience and goals. The extensive number of daytime and evening classes available at BTC, means we are able to keep classes small and personal, just the right size to guarantee enough one-on-one attention. 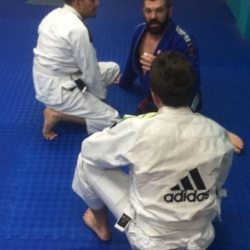 This ensures our students apply the appropriate technique from day one and it sets them up to own the mat right away and feel confident about facing the streets. Learn to submit even the most imposing opponents!